Fenner Precision use polyurethane in a wide variety of precision product ranges supplied to customers all over the world, but what is it that makes polyurethane so reliable in component manufacture? Polyurethane provides unique benefits to applications that alternative materials struggle to compete with. 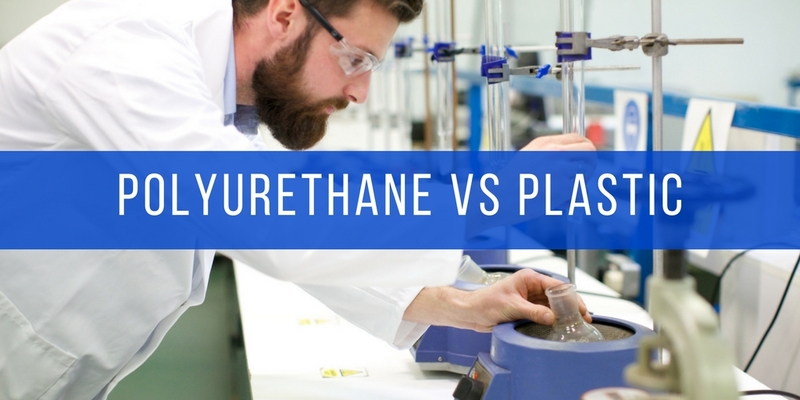 Polyurethanes have unique properties due to combining the strength that plastic compounds provide, whilst maintaining elastic properties similar to rubber compounds. These properties provide remarkable resistance to impact even at high durometers, making polyurethane a desirable material for long life performance in a range of applications. Polyurethane performs well in a range of environments, harsh environmental conditions and exposure to chemicals will not cause material degradation. Polyurethanes also exhibit good electrical insulating properties which can also be beneficial in a number of applications. Polyurethane bonds to a wide range of material including plastics, metal and wood and this property makes it ideal material for wheels, rollers and inserts. Fenner Precision mainly bond polyurethane to metals, when manufacturing rollers, shock absorption springs or drive components. The nature of plastics strength but lack of flexibility results in cracking when at a higher durometer and is likely to cause a serious impact on the application, below are the advantages that polyurethane offers over plastic.